In 2011 I was at a crossroads. 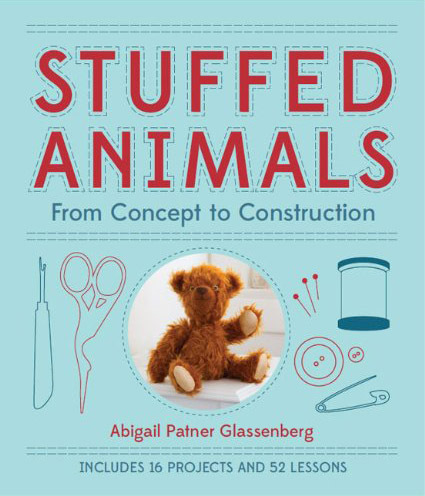 I had just turned in the manuscript for Stuffed Animals and I wasn’t sure what to do next. 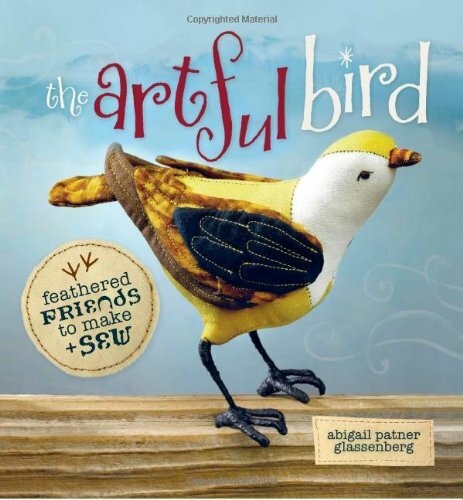 For a year I’d been writing a book which meant I was in the rhythm of creating a new pattern every three weeks. I’d learned a lot in the process and I’d enjoyed myself. I wanted to keep going. PDF patterns seemed like the best way forward. 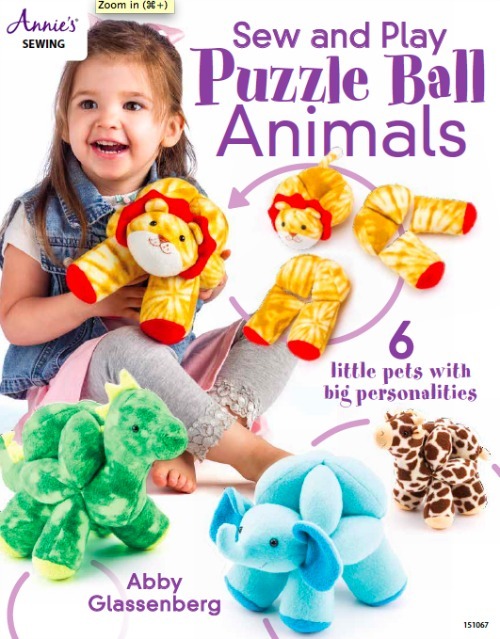 Looking on Etsy I could see that there were several doll and toy makers who had thriving PDF pattern businesses and given how many sales they were making in a single day it seemed like there was room for more. At that time, though, I’d never seen a self-published PDF pattern. What did they look like? How long was the document? Was it better to have photos or diagrams, or both? How should the copyright language be worded? What else should I know? I wasn’t even sure what other questions to ask. I had two choices at that moment: just forge ahead and guess or get ahold of some patterns and see what they were like. Where do you fall in this divide? Did I turn around and replicate their templates or photos or diagrams or page layouts? In no way. But having those documents in front of me allowed me to figure out what I wanted in my own patterns. They also took some of the fear out of starting down this new path. Once I saw the actual PDFs I realized that they were nothing magical. I’d just written a book. I could do this! Maybe starting a PDF sewing pattern business isn’t your dream, but I’m betting that you have a creative business goal of some kind. Do you want to write an ebook? Buy the best ebooks in your niche and see what they really are. 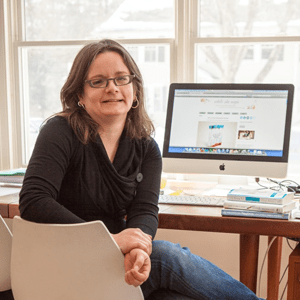 Want to start an email newsletter? Subscribe to the email newsletters of the people who are at the top of your field (and maybe a few who aren’t at the top) and see what they’re putting out. Want to design some new packaging for your notecards? Order some notecards from people who are doing it well and take a look at their packaging. I think spending some money and time investigating what’s already on the market is totally worth your while. You aren’t asking anyone to share trade secretes or give you anything for free. You aren’t stealing or copying. Your doing research before you begin a new venture and that is a wise move. 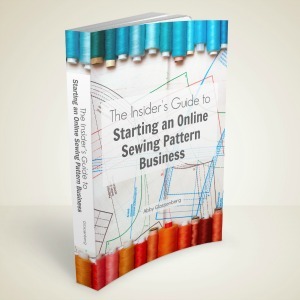 If you’d like to learn to start a PDF pattern business take a look at my ebook, The Insider’s Guide to Starting an Online Sewing Pattern Business. Thank you for saying that Abby, I agree research is important and you should know what is selling and what you are going to be competing with. Writers read books, cafe owners eat out, painters copy the masters – but somehow things on the internet are considered in a different way, maybe because it’s all traceable. It definitely plays on my mind and stops me from just being open and creative. I think a lot of it is about confidence. Feeling good about what you’re making and where you’re headed is important and part of that comes from knowing that you’re learning from people who are already doing things well. Learning and copying are two different things. Thanks Abby you have been a great inspiration for me and I have referred to your book many times recently. I am just putting the finishing touches on my first pdf pattern, and have learned a lot from the patterns of some of my favourite designers (including you). Finding my own voice is very important to me, but looking at other patterns has been very helpful in order to get there – just as you describe. I would like to thank you for being such an inspiration, and so very generous with information and help. Looking forward to launching my own little line of plush mask patterns very soon! I’m so glad to hear that, Elisa. Good luck with your new pattern line! Abby, great article. I’m doing market research now to determine the best way to publish .pdf and video content for a tutorial I have created. I’ve purchased several tutorials with video for the very reasons you mentioned. Answering the questions, “What does a good craft video look like?”, “What platforms are in use and why?” and “What are the points in .pdf tutorial I like that I can adapt to be my own?” helps me develop the best content for my customers. Distance learning requires that we consider how well the instructions, through pictures, illustrations and videos, help the student do it without having you right there beside them. Giving the student the feeling that you thought about how they would use and learn I think would be greatly appreciated. I hope to publish my tutorial soon. Thanks Abby, for the timely article. Often what people don’t understand is that for a copyright violation to occur, one must use the same photos, illustrations, and essentially the same words and text throughout the work as another person. Many people think just because a designer “saw” a skirt pattern and made a similar skirt pattern, then they’ve copied. Not necessarily. Certainly some people walk too close to that line, but ideas are generated from everywhere. Pepsi competes with Coke. Burger King competes with McDonald’s. One skirt design competes with another skirt design. Designs can be derivative or conceived at the same time as other people….and just because someone looked at a pattern or tutorial doesn’t necessarily mean it’s been copied. Besides, anyone doing any type of research is required to look at previous works and study them – only in this atmosphere where designers specifically know purchased from them do people feel “violated.” Yes, there is copying. Yes, people are overly inspired by others. 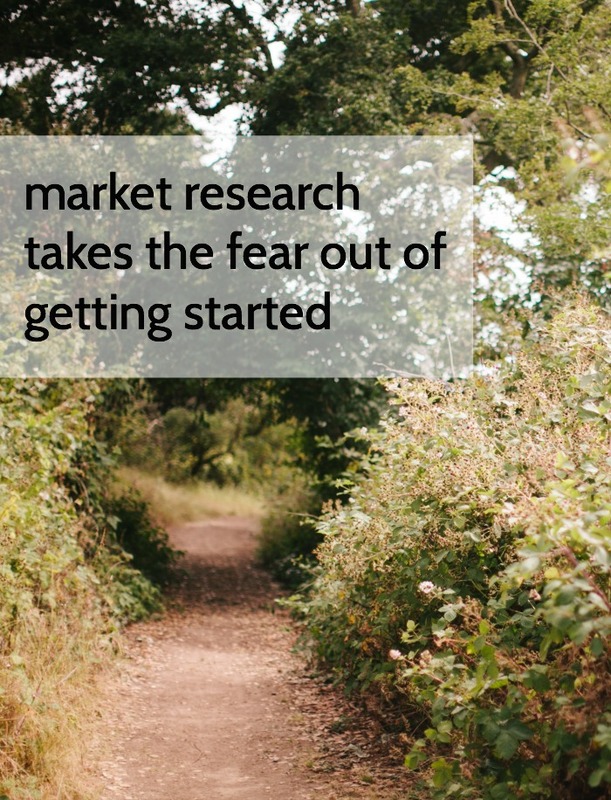 But it’s the nature of being in business…and it’s good to understand that research is simply research. I think market research happened for me with all the craft books I’ve ever taken out of the library over the years. When it came to writing my own book, all the thoughts of “oh they could have said this or shown that…” was able to pour out. Offering PDF patterns seemed much less stressful to me because I could easily email all my customers and say “Hey, I’ve updated the pattern – here’s your free download”, unlike a typo on paper that’s been printed thousands of times. Abby’s advice to see what’s out there is sound and enormously helpful advice. There is a huge diversity in patterns and it’s just plain fun to see and appreciate each others’ work. It’s not difficult to just create a simple tutorial-style document and get your work out there, but it’s so nice to be able to see if your presentation measures up to a basic level of clarity for the sewing customer. I have long felt that I don’t really like my presentation and have been working on a simple hand-drawn storybook style that I love and feel reflects my work better. You get started, and then you let what you want to give be your guide. I love that you said “get started, then let what you want to give be your guide.” That’s so true! Getting started is the biggest hurdle. Once you’ve gotten your feet wet and put a product out there, you can go in and revise it and improve it. Digital products are really wonderful in that way. Thank you, Allison. Having a look at other patterns (for example) means you;re checking the production quality itself, not the actual content. I also looks at things I would have done differently, things I would have improved myself. I’ve bought some patterns with typos, bad directions and poor photos. Those are basically quality standards that mark the professionals from someone just doing this as a hobby. this is also motivating me to, you know, get *started* and stop worrying people won’t buy. They CAN’T buy it if I never release it, right? You said it so well, Andrea. Sometimes the biggest hurdle is just publishing something. One of the best things about digital publishing is that you can always go back and make changes down the road. Getting started is the first step!